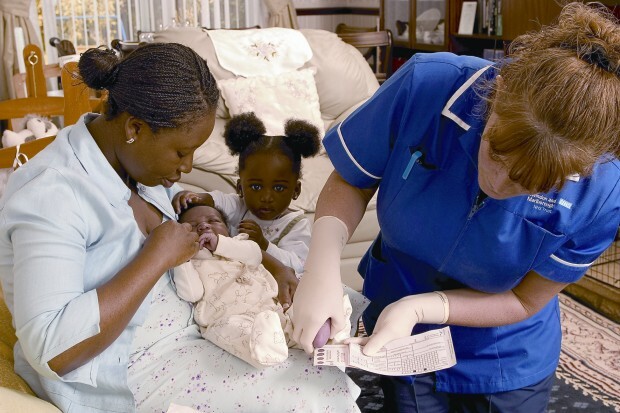 The NHS Newborn Blood Spot (NBS) Screening Programme screens newborn babies for 9 rare but serious conditions. Babies who test positive can then be treated early, improving their health and, in some cases, preventing severe disability or even death. We are pleased to announce the publication of our annual NBS data collection and performance analysis report for the year 1 April 2016 to 31 March 2017. The annual newborn blood spot screening data collection and performance analysis report has been published for 1 April 2016 to 31 March 2017. The data for 1 April 2016 to 31 March 2017 showed that newborn blood spot screening coverage continues to improve. All 209 (100%) clinical commissioning groups (CCGs) returned data for the key performance indicator (KPI) NB1 which measures coverage at 17 days (CCG responsibility at birth). National NB1 coverage for the year was 96.5%, up from 94.5% the previous year. For movers in (babies who came into the country during the reporting period), 207 out of 209 CCGs returned data and reported coverage at 87.1%, compared to 78.3% the previous year. Fewer CCGs submitted manual returns to the annual data collection for standards 2 and 12 which are collated by child health record departments (CHRDs) for them. The decrease in CCGs returning data was greatest in London and the South East. The national programme received data from all 13 newborn screening laboratories in England and from the laboratories in Northern Ireland, Scotland and Wales. Some laboratories could not submit data for all fields, in particular diagnostic outcome data. This means some data cannot be fully evaluated, particularly timeliness of appointment and diagnostic outcomes. We recognise the difficulties and challenges CHRDs and NBS screening laboratories have in collating and collecting this data. Many thanks to all our data providers for their continued hard work in submitting data. We will continue to review and refine our data submission tools to enable our providers to improveme data collection.